My name is Robert Fulk, Principal of The Marion C. Moore School in Louisville, KY JCPS. We are the largest school in the city of Louisville with an enrollment of over 2,150. I have over 240 folks that work for me here at Moore and right now, they are scared. I’d like to take a moment and give you some context as to why Pension Reform is so critical not only to our school, but to the Commonwealth, and our future generations of Kentuckians. Without a doubt, I am invested in the future of our Commonwealth. I am Kentucky born, and my adult life has been in service to the school system. I own property, pay taxes, and volunteer my time to better my city and state. I am a member of the Board of Directors for the Olmsted Parks, the school board for St Nicholas Academy, and an active parishioner of OLMC. 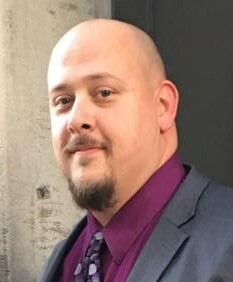 I am a father of three wonderful kids, and married to an educator. I am the principal of the largest school in the city of Louisville. THE Marion C. Moore, grades 6-12. We have over 2,150 students. I took this building over last year as it was failing, culture was terrible, and our programs were abysmal. In a year we’ve added engineering, Electricians track, Culinary Arts, Medical pathways, and dual credit for our students. We have opened the doors to prepare our students more fully for their next step, and our culture is growing rapidly, daily. In a year we have shown marked improvement in any measurable category and we are quickly becoming known for our turnaround. A big component of this is hiring. Last year I hired 78 staff. This year I’ve hired 37. One of the driving factors in new teachers in the pension, and for those of us already vested it is a huge component of why we choose this work. It is an essential recruitment and retention tool. Without the pension, I will lose quality applicants. This is an undeniable fact from any study on pension reform. We are already paid less than comparable fields with as much education, and removing the pension from this equation is shackling a system even further. I ask those of you that are businessmen and women, could you sustain high performance in your industry with my current hiring ratio? We are proud that in a year we have cut our hiring in half, but removing the pension will only make this problem worse. It is not sustainable. By my best estimate I have paid in over $140,000 in my career, and this is my 14th year. 11%+ per paycheck, without fail, and without griping. Yet here we are now and I am told I may lose what is promised to me in an inviolable contract. Like any employer-employee relationship, teachers and school administrators accept their employment in schools based on assurances that they would receive certain levels of salary and benefits. More importantly, these assurances are in law. Each year that they have already worked represents a year in which they performed their obligations under that contract. The legislature must live up to its obligations as well, and continue to provide the benefits it has committed to provide for each of the years that the employee has already worked. Any retroactive reduction of benefits, including sick leave accumulation, would represent a breach of contractual obligations. The current plan presented this week is not good. 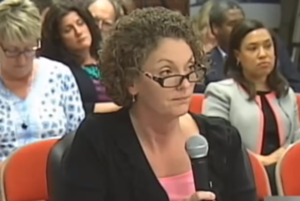 Aside from the defacto pay cut of 3%, the burden placed on the district of 2%, and the provision of putting the pension aside if you work more than 100 hours for a state institution (how will we have retired subs, retired administrator covering schools in between principals, or retired folks teaching at public universities?) this plan is not keeping the promise. I have, and all of my people have fulfilled my end of the contract faithfully. As principal of the largest school in the city of Louisville I average about 70 hours a week of work. I do not get social security. I am compensated well, but if you remove the pension from the equation good luck finding people with as many degrees as an average principal has (and eventually a Doctorate) that will work on average 3300+ hours a year for our students. I am the norm for an effective school principal. Removing the pension from our field will result in less qualified teachers, and in my case, school leaders. You do not want this, not for the future of the Commonwealth. I have worked my time with the assurance the pension will be there. I am expecting to retire in 17-18 years or so when I hang it up that my pension will be there, intact; as quite frankly it is your obligation to fulfill this contract. Whether or not you or the previous body of legislators have mismanaged, underfunded, or otherwise kicked the can down the road is immaterial to me, my teachers, my classified folks, and any else in education. We have done our part. You have an obligation to me, and to the 240 employees in my building, and the rest of us around the state. This will be the primary issue on which I base my votes for either of your reelection, and what I communicate as a member of our community. I urge you to do the right thing and protect our pension. We have done our part, faithfully. I will confess, I believe this will be found on deaf ears. I have contacted Senator Seum, and Representative Donahue several times with no response, a trend mirrored by several of my staff, as these men are our legislators for the Highview area. This issue is essential to us, and to the future of the Commonwealth. I send this to you as a citizen of our Commonwealth, a sitting school principal, the HS role group representative of JCASA, a volunteer on numerous boards, and as a father who is relying on his pension for his twilight years. Please consider what you are doing to the future of the Commonwealth. Our Mission: THE Marion C. Moore School will be a school where students want to be, adults want to work, and the community is proud to have their children attend. 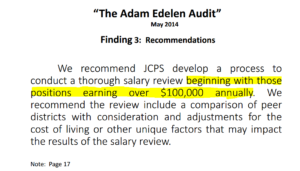 As first reported by Toni Konz, WDRB, a state audit recently forced JCPS to reassign many of its non-certified instructors to supporting roles instead of supervising classrooms, since state law does not allow them to do so without a certified teacher present. This has apparently resulted in modification or discontinuation of certain optional classes in many schools. We have heard that 270 instructors were affected, so we want to hear what kind of impact this has had on your school and your child. Please take a moment to complete the following survey. Your information will be aggregated into a report for others to view, but personally identifiable information will be kept confidential. 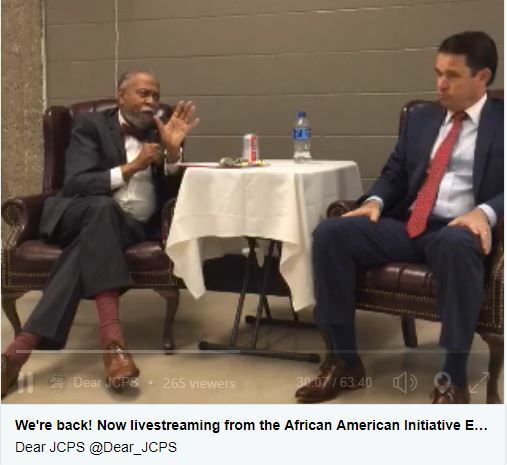 This article also came out in the Courier Journal yesterday and contains a link to the letter Dr. Pollio sent to the state in response to the audit findings and the action the district is taking. We are interested in learning from all who have been affected, instructors included, and see if we can’t compile your responses and propose solutions to district leaders and state legislators. We believe this is a problem that has been evolving over time as a result of district leaders’ admirable attempts to make quality programs available under tighter and tighter budgets. As with many public education issues, when unintended consequences like these occur, some grassroots advocacy work may be required to get everyone back on the same page. 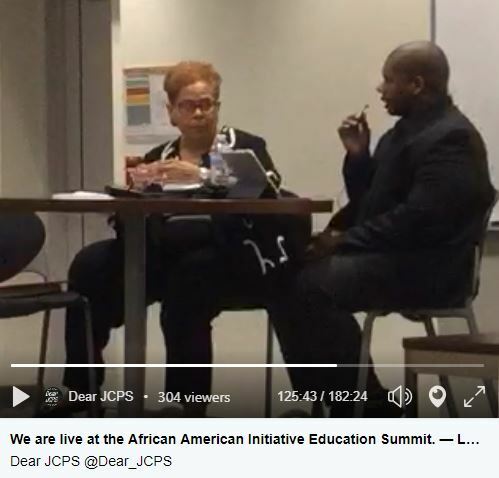 Dear JCPS’ goal is to find commonality among all groups affected and use that messaging to communicate to try to bring state and district leaders to a solution that benefits our students and staff, instead of losing valued programs and putting unfair burdens on our beloved instructors. Let us know if they have canceled these programs or if they are being continued. In the comments below you can provide more details. Let us know what has happened to the teacher(s). In the comments below you can provide more details. You must provide your real name so we can verify the authenticity of this submission. We will not publish it in our results report. What would you like to see happen, and what suggestions do you have for district leaders or state legislators that you believe can make this happen? If you happen to know any of these nice people listed below, could you have a talk with them? Could you let them know gently, one-on-one, that by supporting vouchers, and their evil cousin Scholarship Tax Credits, they are, perhaps unknowingly, supporting profiteering efforts that are backed by ALEC, The Koch Brothers, and others who wish to take money away from our already underfunded public schools? Maybe these kind people had good intentions when they clicked on the sign-up button on the Ed Choice KY page, but if they truly understood the myths and facts about education tax credits, and the out-of-state corporations and special interest groups backing scholarship tax credits in our local communities, they would reconsider their support. We’d like to think so. The language, “Scholarship Tax Credits,” sounds so innocuous, doesn’t it? But to those of us who have been leading the fight to protect our public schools from these outside threats, we recognize those words as the next steps in the Playbook to Privatize Public Education. Since Kentuckians are beginning to dissect the promise and peril of school vouchers, and are wising up to the fact that school vouchers aren’t working, and that these devices likely violate our state Constitution, lawmakers appear to be planning to bypass this route altogether. Instead, they are going straight for the jugular with scholarship tax loopholes, I mean credits. These credits circumvent tax dollars from going into the state’s general fund by providing a tax credit to individuals who make a donation to a private school, which in turn depletes the amount of money available, not only for public education, but many other public services, as well. EdChoiceKY’s page says these members “support more educational opportunities for Kentucky students … to ensure that every student gets the best education possible – regardless of their socio-economic status.” Who wouldn’t? That sounds wonderful! However, what these members may not realize is that what really happens is that money is taken away from schools that are also serving students who deserve these same opportunities. And children of low socio-economic statuses often cannot afford the full tuition, books, fees of the private school, and so the scholarship funds meant for the needy generally end up benefiting those who can already afford to attend private school. We agree that ‘more educational opportunities’ are needed for kids, such as the family resource and youth service centers, extended school services, all-day kindergarten, school nurses, field trips, facility upgrades, transportation, etc. in our public schools, all of which are already underfunded by the state. If the state general fund doesn’t have the financial resources to fully support these educational opportunities and services, then it doesn’t have enough to forego $25-75 MILLION per year, and increasing every year, under a scholarship tax credit, as proposed. Please ask these folks to reconsider their position. As a teacher, parent, staff member, taxpayer, help them see how this has played out in 43 other states where charter school legislation, vouchers, tax credits, etc. have passed in prior sessions. Look at how Arizona is going broke with similar voucher/tax credit schemes that increase every year and are far more costly than they originally thought they’d be. Originally estimated to cost that state $4.5 million per year, they eventually topped out at $140 million. Certainly not the “cost savings” snake oil they originally peddled. There is no reason to believe the same would not happen in our Commonwealth. Kentucky wrote the book on education reform. We do not need to follow in anyone’s footsteps. Not Arizona. Not Ohio. Not Indiana. And especially not Michigan (where Secretary of Education, DeVos, hails from). How will the people below feel when our public schools are further decimated by hedge fund investors and billionaires, and they look back on this pivotal moment and the role they played? Ask them to call EdChoiceKY and have their name removed from their Smarter Future Council web page, because Scholarship Tax Credits are an attack on our public schools. And public schools are the cornerstone of our community and our democracy. Charles Paradis – Bramco, Inc.
Joesph L. Landenwich – Kindred Healthcare, Inc.
John Hayes – Brown-Forman Corp.
Jon Votel – K.O.I. Precast Concrete Inc.
Kris Knochelmann – Schneller Plumbing Heating & Air, Inc.
Mark Plummer – J & J Transportation, Inc.
Raymond Erpenbeck – ECE, Inc.
Steve Gray – Commercial Kentucky, Inc.
Zach Zinser – Zinser Benefit Service, Inc. This list was taken directly from EdChoiceKy’s website as of 8/21/17. Charles H. Leis, President and Andrew Vandiver, Vice-President appeared on KET Tonight with Dear JCPS and SOSKY co-founder, Gay Adelmann, where they discussed Scholarship Tax Credits in more detail, below. Mr. Vandiver is a paid lobbyist for EdChoiceKY. EdChoice Kentucky is housed at he same address as Catholic Conference. Just curious where this JCPS HR issue stands to date (“I am 100% integrity“). It was brought to light at an earlier board meeting yet, there has been no update. Can you offer, at this time, any updates for the public on this matter. Is there truth to the matter, has it been swept under the rug, or is it of false nature? Mr. Brady, we are counting on you to keep transparent. I noticed HR director Tiffeney Armour is presenting HR annual report at tomorrow’s (July 25, 2017) Board of Ed meeting. Will this topic/issue be addressed as well? Please address and update. My name is H.G., I am a freshman at Doss High School. I agree with busing for many reasons. If busing was to stop many families without transportation would be affected greatly. Families only want the best education for their children. If busing is the way to get their kids to a better school on time and efficiently why would you cancel that? One reason I agree with busing is because, it gives all students opportunities to go to school in areas with more money. The diversity of schools is another reason, some say it raises test scores and balances the races between classrooms. Racial integration is a worthy goal and busing is an easy means to achieving these goals. Students will be able to become friends with kids who are unlike them and have different interests. But busing isn’t all that is expected, there are some cons of busing too. Students are forced to be on the bus for hours at a time. It is also harder to be involved with after school activities if you live an hour or two away from your school and you want to go to a game or be in a sport it won’t be as easy as it is with a child that lives ten to fifteen minutes away. Children in higher socioeconomic areas naturally have more opportunities than with children who do not. It also can focus on where children go to school rather than the quality of their education. Although busing has its ups and downs it’s a convenient way for kids in the east to go the west and vice-versa. Busing is an affordable way to achieve desegregation that only makes up about five percent of the operating cost of a school district once the system is in place. Desegregation diminishes many of these disparities and creates a more just society. In conclusion busing is the way to go. It may have its downs but all around it’s the smartest choice. It will have less complaints and it will be equal for kids to go where they want to go. Busing NEEDS To Continue. Here is why. I am C. F., a freshman at Doss High School. In this letter, I am going to tell you my views on busing, and why I believe it has an important role in keeping our community desegregated and diverse. If busing ends, and the bill stating we have to attend our neighborhood schools passes, they would be segregating public schools, not only by social economic class but also by race, given that some neighborhoods consist mostly of white or black people. I was looking at the reasons to end busing and one I find very comical is ” Busing causes white flight- where white families move their children from public schools to private and suburban institutions”- Why is that even one of the reasons? (Also the term ‘white flight’ is hilarious.) Are white people afraid of diversity? Some parents move their children to private schools because well, they can afford it and they want their child to get a better education. I don’t think that the diversity in their schools is the main reason why they do it. Busing gives students opportunities to be with students who are unlike them and it eliminates racism and discrimination. Doss High School is diverse like every other JCPS public school. I believe that students are better thanks to that. I have personally never seen bullying around here because of race or sexual orientation. They don’t judge you because you’re different, they just don’t care. Here, no matter how weird you are, you will always find more people that are like you, that’s the beauty of diversity, you don’t feel alone and left out. Sure there are still trouble makers and misbehaviors in classrooms but that happens everywhere; it mostly depends on the teacher you have. While with one teacher we are little devils and frustrating, with another one we are angels and a good class. Busing gives all students opportunities to go to schools in areas with more money and get the education they want. My neighborhood school is Iroquois but I applied to Doss because of their STEM program. It teaches what I want to learn and the teachers are great. They want you to succeed and they give you chances to remediate and prove you know the material you once failed. All students have the chance to get A’s and B’s, some don’t because they’re too lazy to try. Now the cons about busing that I found valid and I feel there’s a solution to them: 1. Hard for students to be involved in after school activities; 2. Parents cannot be involved in school if it’s far away; 3. Students are on the bus for hours. First of all, students and parents choose to go through this. Jcps automatically assigns you to your neighborhood school, sometimes it might be another one that might be far away, but then if you wish to attend another school of your liking you can apply to go there. If the school you want to go to is far away but you still choose to go there, it’s your decision, you knew that it would be a long bus ride and that it will be hard for you to be involved in after school activities. Also, parents can be involved in their child’s education in many ways, they don’t necessarily have to go to the school to do that. Now, the really long bus rides, but in the government’s perspective. It does cost a lot of money in gas and maintenance; my proposition is to put a limit on how long the bus rides can be. Like ‘your bus shouldn’t be taking longer than 40 min to drop you off’ and 40 min isn’t as long as it seems since they have to take different routes and stops for different students. If the student wishes to attend a school further than that anyway, then it is the parent’s responsibility to drive them to school and pick them up every day. Remember it’s the student’s choice they’re taking away if you stop busing because some kids don’t have parents with cars or they don’t have anyone available to take them. Thank you for taking your time to read this letter. I am a JCPS student at Doss High School and I am here to share with you my opinion about the busing trouble you are facing this time. As everybody knows JCPS is in charge to transporting of children to a school outside their residential area as a means of achieving racial balance in that school to prevent segregation. This is an issue really important in our community. I believe busing must be continued. It’s give a lot opportunities to us. As we know JCPS gives all students opportunities to meet students who are unlike them and this increases the diversity and knowledge about different cultures and traditions of Americans, African-American, and international students. Between those opportunities JCPS gives all students opportunities to go to schools in areas with more money its means better education, some people say it raise test score. Also we have to take in consideration JCPS is trying to terminate the racism and discrimination between students and increase the diversity and tolerance. The only way to make people comfortable with people from different backgrounds is just to spend more time with them. DESEGREGATION that the clue word. Almost 50 years ago before I was born, Unites States of America was divided according to the race, the color and where you came from. These country faced a lot troubles and violence to be what is today. Segregation was one of the most ridiculous and racist thing that exist in this country, but our city persisted, led by the courage of African American parents and children. And thanks to their sacrifices, I was able to attend high-quality, integrated public schools in Louisville. Now I am telling you stop busing is not the answer. But at the same time I think is time to change some things in your system. I believe if you fix some details your busing system would work again. For a long time I was thinking about the solutions and benefits if you increases the number of buses in our community, with this option you can have a better plan at the time you accommodate the students and also you can save time and bring jobs opportunities in our community. To make this possible a lot student and parents can sing a formal letter to the state with this solicitude. Also we have to take in consideration if JCPS stop busing, is a violation of the 14 AMENDMENT, which said, we all have the right to get equal and proper education. No matter where we live. The reason I’m writing this letter is to continue busing. In my civics class we learned a lot about segregation, and the negative effects this cause. I wish that you will consider reading this and hopefully it influences you. Thank you for reading my letter it makes me happy to know that JCPS listens to its students and don’t just make decisions on their own. On November 30, I spoke before the board and asked for follow-up data with regards to Adam Edelen’s audit. To date, I have not received a response. In particular, I am interested in knowing how the following numbers look today, relative to what was identified by the audit several years ago. 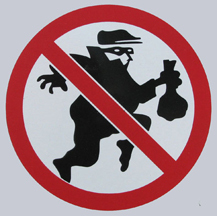 Please provide a report with this information as soon as possible. Upon requesting information as to how these recommendations came about, we were told no minutes were kept. It would appear to us that open meetings and open records laws were violated. Honest mistake, perhaps, but much of this painful detour could have been avoided had the process been more transparent and inclusive of authentic stakeholder input from the beginning. I truly thank you for your willingness to serve as an advocate for Jefferson County students. I look forward to your reply. Ms. Weaver’s Exploring Civics Class at Doss High School in Louisville, KY takes a look at proposed legislation and how it would directly impact them, their peers and community. 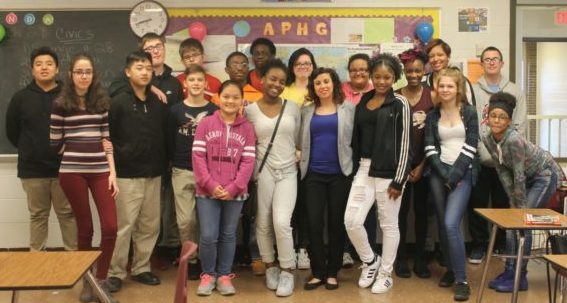 Students in Ms. Weaver’s Exploring Civics Class at Doss High School recently learned about the history of desegregation, busing and current events that could impact student assignment in JCPS. They submitted the following letters sharing what they learned and their opinions on the subject, both pro and con, from the student perspective. We wanted to share their amazing letters with you. Dear JCPS offers an open-letter format. We welcome other students to submit their opinion letters here. Disclaimers: Opinions are expressly those of the author, and not Dear JCPS. Dear JCPS is not affiliated with Jefferson County Public School system.